To recap: Salman Hossain is Bangladeshi-Canadian who was living in Toronto while attending York University. 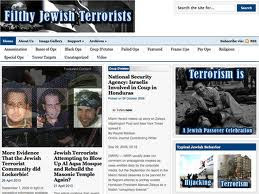 He started a web site called Filthy Jewish Terrorists and embarked on a campaign of promoting terrorist attacks on Canada, cheering the killing of Canadian troops in Afghanistan and the urging of fellow Muslims to "exterminate" Canada's Jewish population. I first reported my finding out about this gentleman on July 8, 2010 in my blog with the article reprinted in the on-line newspaper Oye Times! Protests against Mr. Hossain had been growing steadily at York University and in Canada in general. However this didn't seem to deter Mr. Hossain; this seemed to inspire him to continue his questionable pastime. With things heating up, he did leave Canada but pursued his diatribe of hatred through his web site. Finally, Mr. Hossain was charged by the Ontario Provincial Police on July 8 with three counts of promoting hatred and 2 counts of advocating genocide, charges approved by the Ontario Attorney-General. Unfortunately, with Mr. Hossain out of the country, those charges remain pending until authorities can get a hold of him. In a follow up to this story, the National Post reported on July 20, 2010 that Hossain's web site had been taken down by its U.S. host, the Arizona-based web host GoDaddy. “Go Daddy received a complaint from Canada’s Attorney-General regarding the domain names in question,” said Ben Butler, the company’s Director of Network Abuse. According to the National Post, Hossain did attempt to set up his web site in Ireland but when the Post contacted the Irish web hosting company Blacknight, it cancelled the hosting contract with Hossain. In researching this article, I used Google to search the Net for information associated with Salman Hossain. Much to my surprise - I guess you could call me naive - I ran across several other web sites spewing - yes, that's the right term: spewing - the same message. Excuse my French, but WTF? Subverted Nation, showing the motto "Give no Quarter, Ask no Quarter", is a white supremacist web site promoting the hatred of Jews. Reading the information contained therein absolutely shocked me. My surprise is that GoDaddy took down the Salman Hossain's web site after being contacted by Canada's Attorney-General but remains the host for web sites of similar materials. If the Irish web hosting company Blacknight states it has a policy against anybody inciting murder, and here I'm assuming hatred, does GoDaddy have no such policy? Since the National Post article mentioned them, I wrote to the CJC (Canadian Jewish Congress) with a copy of this blog and they kindly wrote back to inform me of the state of affairs. While Canada does have laws which make it an offence to promote hatred or advocate genocide, those laws only govern web sites which are actually hosted on Canadian soil or they govern individuals who control the web site and are Canadian citizens. Apparently it is rare to find a hate site hosted in Canada and consequently these web sites are usually governed by the host country. While GoDaddy's response in the case of Salman Hossain's was commendable, the company was not required by law to comply. The United States' First Amendment protects free speech and the CJC points out that American ISPs take the view that allowing any content does represent free speech. Freedom of Speech: Freedom to say "anything"?